Make it Stop…So We Can Start All Over Again! 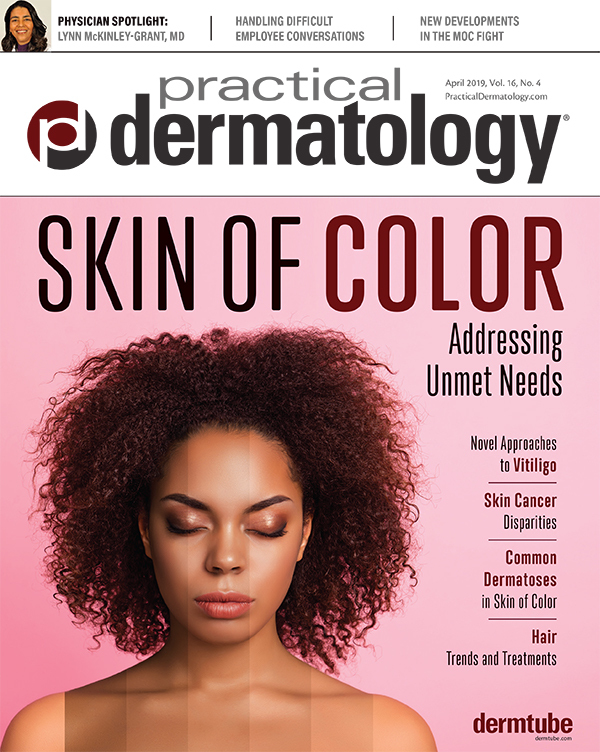 An overview of skills practice administrators and other employees need in order to build a strong, successful practice team. Google My Business is a powerful tool to reach out to and engage with your target audience online. 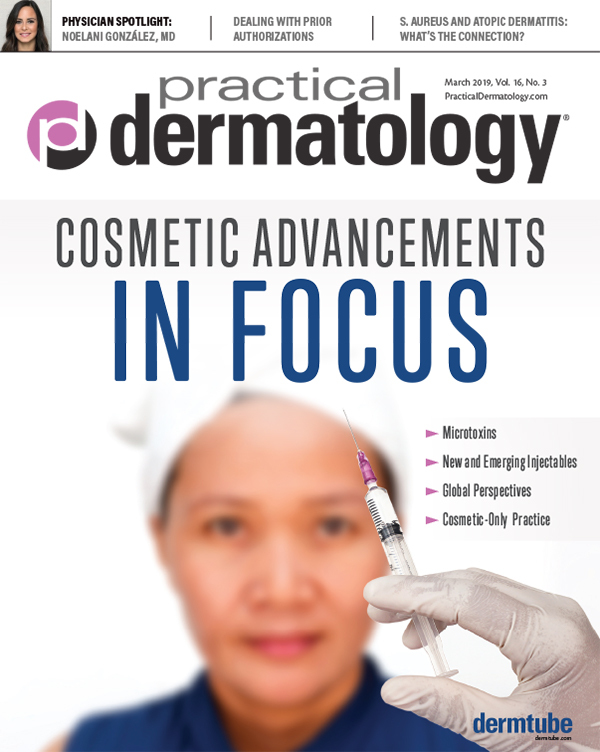 The way patients choose physicians is changing, so physicians need to change the way they grow their practices. The President-elect has vowed to dismantle the ACA—maybe. 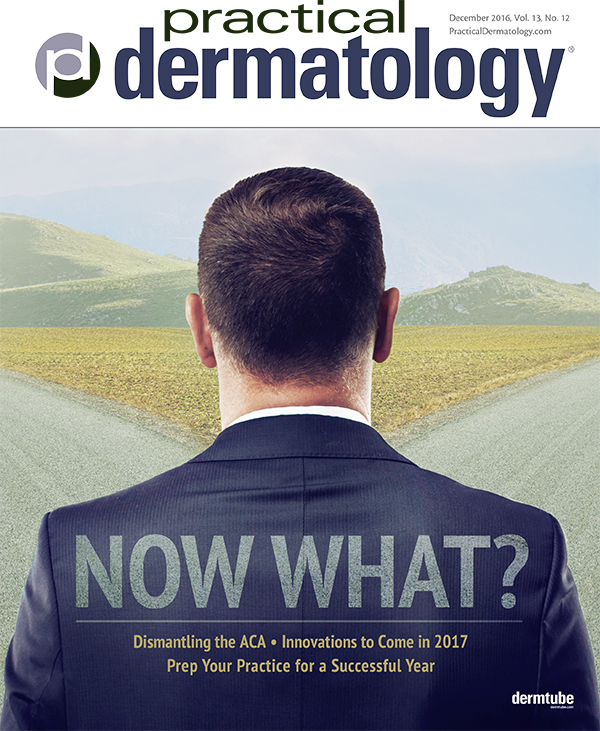 Practical Dermatology® investigates what TrumpCare may mean for dermatologists. 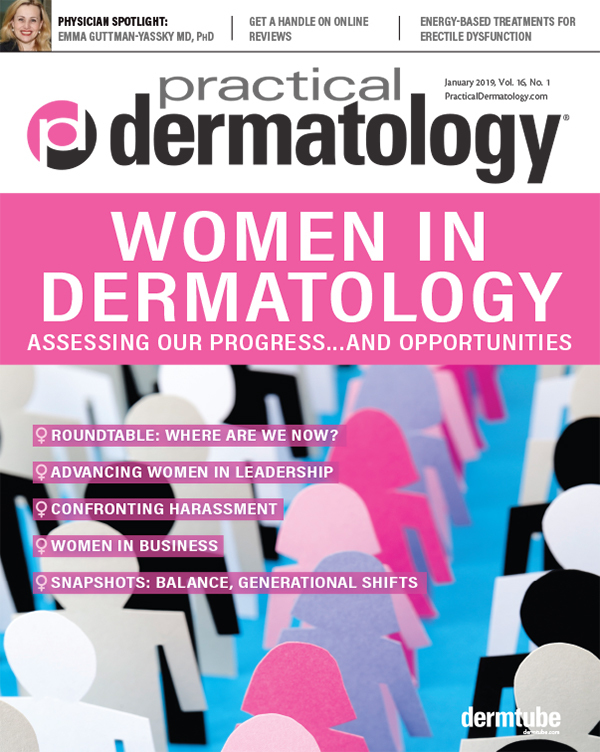 A look at what's now, what's next, and how dermatology practice continues to evolve with drugs, technologies, and opportunities. 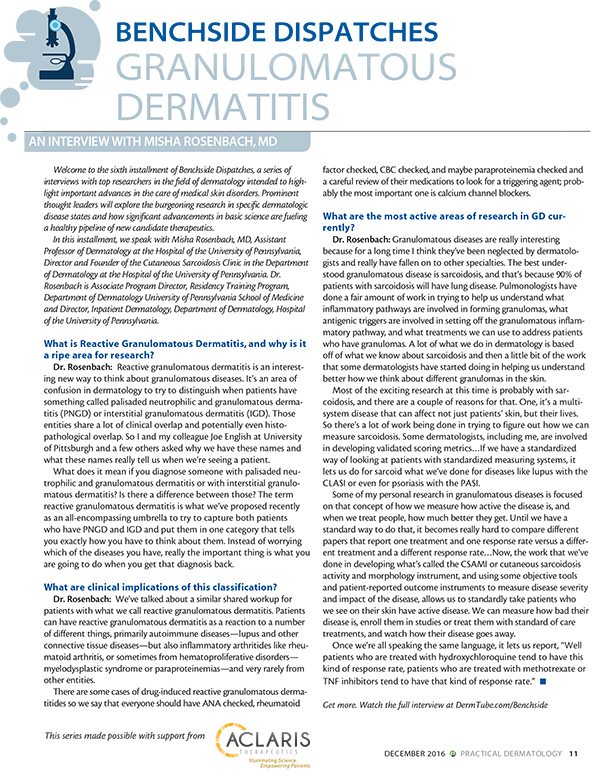 Can clinical features help determine an individual's melanoma risk? 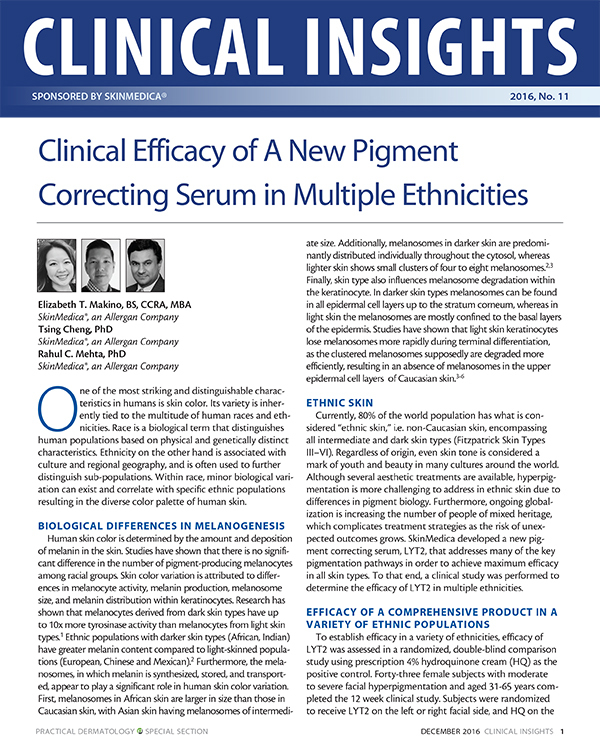 Columnists take stock of advancements over the last 12 months, with a focus on clinical implications. How to use cash flow to your advantage and maximize business capital. 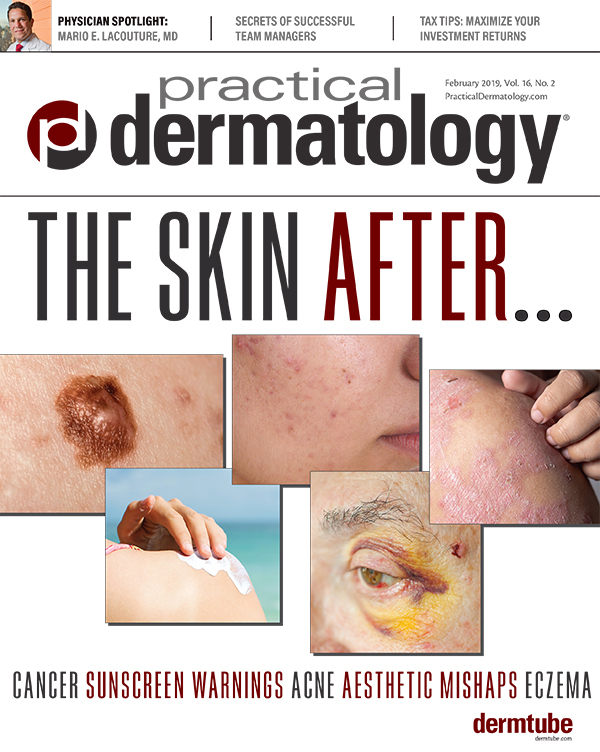 A look back at FDA approvals in dermatology from the year.